Golden State Warriors guard Stephen Curry was concerned about his injured left ankle and his team’s fortunes in the NBA playoffs. Then he received a late night phone call from his Mom on Mother’s Day weekend. She gave him a much-needed pep talk, and Stephen responded with a fine performance in Sunday’s game. He scored 22 points, grabbed six rebounds and dished out 4 assists in helping his team to a come-from-behind overtime victory over the San Antonio spurs. The win evened the series between the two teams at 2 games apiece. Even on Mother’s Day, it seems that Moms are always the ones doing the giving, and the children receive the blessing. Let’s never take our mothers for granted! “Many women do noble things, but you surpass them all.”—Proverbs 31:29. 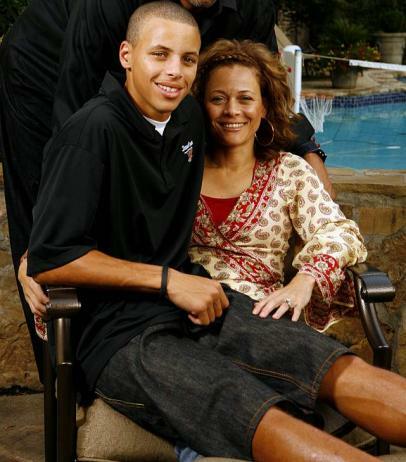 This entry was posted in Christian Living, Sports and tagged encouragement, Golden State Warriors, illustration, Mothers' Day, NBA playoffs, Proverbs 31:29, Stephen Curry. Bookmark the permalink.